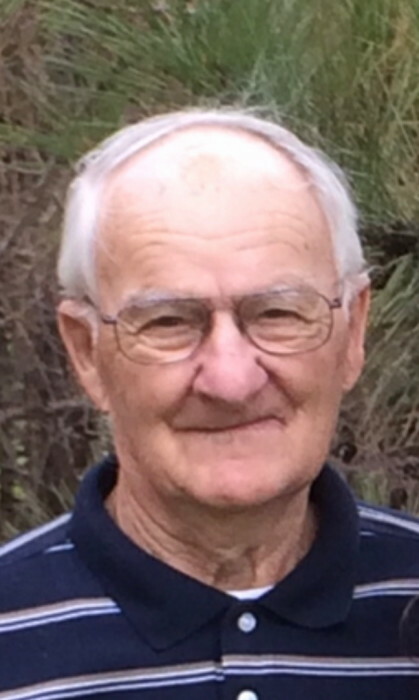 Funeral services will be held on Tuesday, April 2, 2019 at 11:00AM at St. Johns Lutheran Church rural Montevideo with Rev. Kent Borglum officiating. Burial will be in the church cemetery. Merle Milton Weckwerth was born on November 6, 1928 in Sparta Township, Chippewa County to Louis and Martha (Schulke) Weckwerth. He was baptized on November 18, 1928 and confirmed on April 6, 1941 at St. Johns Lutheran Church rural Montevideo. Merle attended school in Chippewa County. He worked on the family farm which he would continue into adulthood. He was united in marriage to Verlie Jeanette Leppke on January 1, 1954 at St. Paul’s Lutheran Church in Montevideo. Together they raised 6 children: Tom, Ronda, Steve, Mike, Joel and Kim. Merle was a life long member of St. Johns Lutheran church and was very active in the congregation. He would usher, audio record services for the elderly and be available to help with construction at the church when needed. Merle enjoyed puzzles, fishing, hunting, gardening, pets, babies, and birds. His love of babies would earn him the title of “baby whisperer” of St. Johns Lutheran. In early days Merle enjoyed roller skating and worked at Gladys Ballroom and Skate. Family cherishes the wonderful sense of humor and wit that Merle would supply to family and friends. He was always quick with a “one liner” that would keep family and friends laughing. Merle is survived by his wife of 65 years: Verlie; children: Thomas (Roxanne) Weckwerth, Montevideo, Ronda (Ron) Guck, Grand Rapids, MN, Steve (Sue) Weckwerth, Park Rapids, MN, Mike (Pam) Weckwerth, Canby, MN, Joel (Laura Redepenning) Weckwerth, Montevideo, Kim (Brian) Wood, Eagan, MN; thirteen grandchildren: Autumn Lee, Clinton Weckwerth, Ben Guck, Andy Guck, Edward Guck, Elizabeth Howard, Kelcie Malm, Shelby Weckwerth, Joshua Weckwerth, Brianna Weckwerth, Emily Coequyt, Travis Christianson, Louisa Wood; 19 great-grandchildren; brother, Lewis (Junie) Weckwerth, Montevideo; sisters-in-law: Marion Weckwerth, LaNora KleerUp, and Dorothy Hinterleitner; as well as many other extended family and friends. He was preceded in death by his parents, and siblings: Lawrence Weckwerth, Arnold Weckwerth, Alice Olson, Silda Adams, and Alvin “Buddy” Weckwerth. This is a beautiful day!